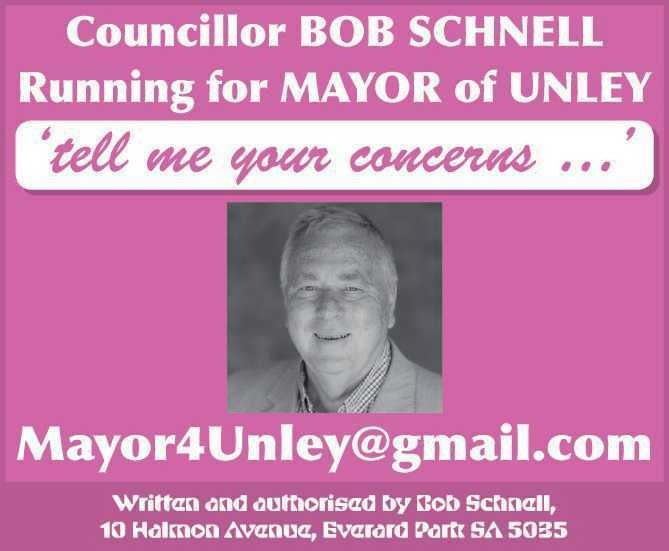 I am running for Mayor of Unley. The Council election is in Oct-Nov 2018. Voting will be by postal vote. My forecast is that there will be huge number of new Councillors with up to 9 new faces at Unley. Some say that there will only be 6-8 new faces. This will be the biggest change of faces at Unley in over two decades! With such a new Council, the Mayor will need to have discipline and be a strong leader to facilitate changes initiated by Council. I am committed to listening to you and providing strong leadership. I encourage you to tell me your concerns.